The Wilson Staff C300 fairway wood features Power Holes around the club head (two on the crown and four on the sole and toe) for the first time ever, creating a larger sweet spot on the face for maximum forgiveness on off-centre hits. A Carpenter Custom 455 Stainless Steel face insert combined with Power Holes and FLX FACE™ Technology increases Face Deflection by 5% across the entire clubhead resulting in increased ball speeds and distance. Fast Fit Technology 3.0 creates a possible six loft options on the standard setting available (13.5°, 15° and 18°) along with Multi-Fit Adjustability 3.0 that includes the same weight options as the driver. Wilson say 6 power holes in the sole/toe and crown mean you get maximum face flex and rebound (speed and distance) when shots don't impact the centre of the face. 3 sole weights (2 x 2g, 1 x 6g) can be interchanged to dial in either a neutral forgiving high flight, or 7- 8 yards of fade or draw bias. 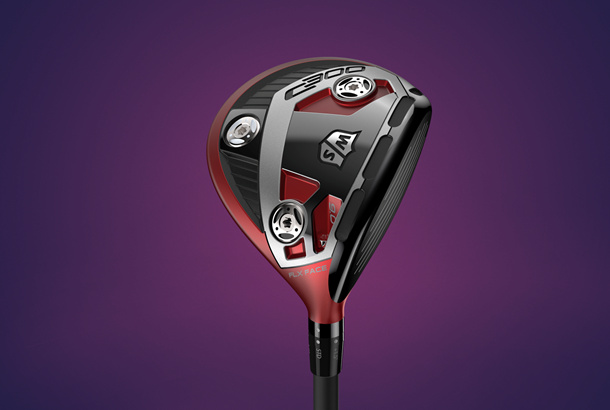 There wasn't a fairway wood closer to our test averages than the C300, it literally was bang on the money for ball speed, backspin and carry distance, which says it's a solid performer. 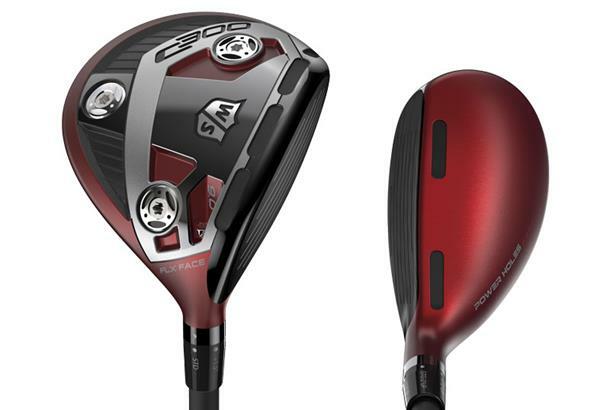 C300 isn't really aimed at the mass market of golfers (14 handicappers and above) instead it's pitched in at the niche crossover golfer between better players and game improvers. The stubby head is a fraction smaller than most, and our test pro in particular hit it really nicely. We can't not mention the matt red colour, it will be divisive and ultimately likely to be the deciding factor in some golfers buying in or keeping their cash in their pocket. For us we didn't have an issue with it, reckoning the matt paint cuts glare over some of the more traditional shiny crown fairways we tested. At over £200 the C300 doesn't come cheap, it does though offer a decent degree of adjustability, which the glued hosel models can't. With the excellent TaylorMade M4 being just another tenner, you don't need to be Einstein to realise which fairway wood the majority of golfers will plump for in 2018. Left hand available in 15° and 18° loft options.